Wooser no Sono Higurashi is a 3D short anime featuring Wooser, a mysterious mascot character whose charming appearance belies a corrupted heart that craves money, meat, and girls. The main characters of this anime/manga are Rin and (obviously) Wooser, who will get the Nendoroid rendition of their own. 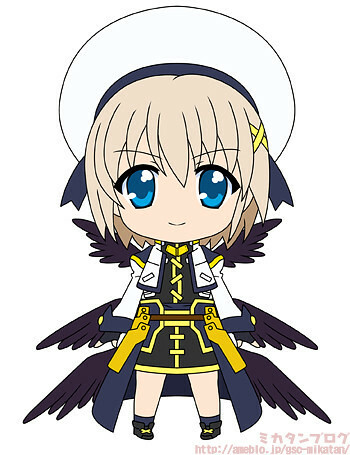 We know nothing more about them, so I guess we can only wait for GSC to announce Nendoroid Rin annd Wooser properly – hopefully soon. 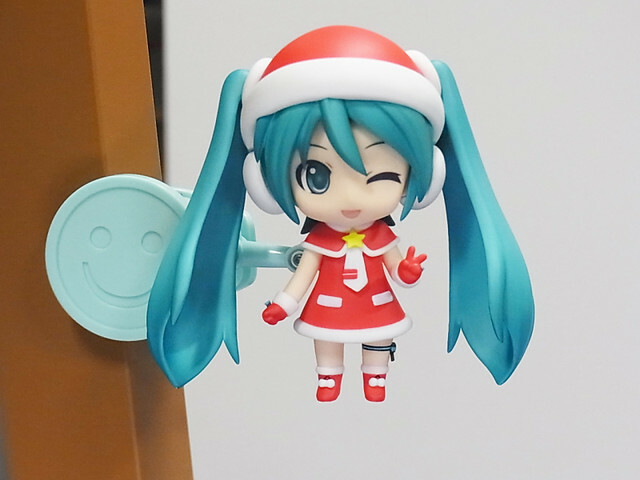 One of GSC’s newcomer in the Manufacturing Department wrote a blog post containing some pics of Nendoroid Hatsune Miku: Santa version, which you can see below. After she got her release delayed from last month, Nendoroid Super Sonico: Tiger Parka version is finally released today in Japan. Yes, some folks have already gotten their hands on the new Nendoroid and they wasted no time to mix-match her around with the other Nendoroid. 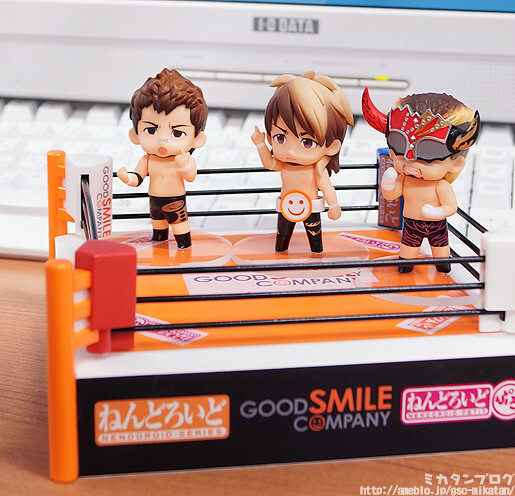 I am pretty sure that I saw a photo of the prototype a few weeks ago, but well, anyway, here you go – Nendoroid Petite: New Japan Pro-Wrestling set has reached Mikatan’s desk for some preview photo session. 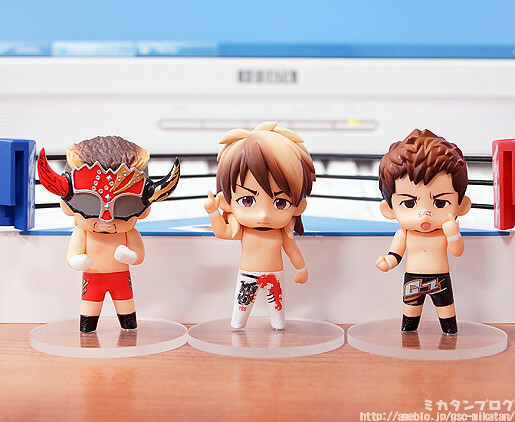 This Petite set consists of real Japanese pro-wrestlers, i.e: Hiroshi Tanahashi, Satoshi Kojima, and Hiroyoshi Tenzan. A golden championship belt is included and you can attach it to any of these three wrestlers. Tenzan’s mask can also be removed to expose his real face, if you want it that way. In addition to those optional parts, this Petite set will also come with a half wresting ring. Yes, you can create a full ring if you get two of these Petite sets. 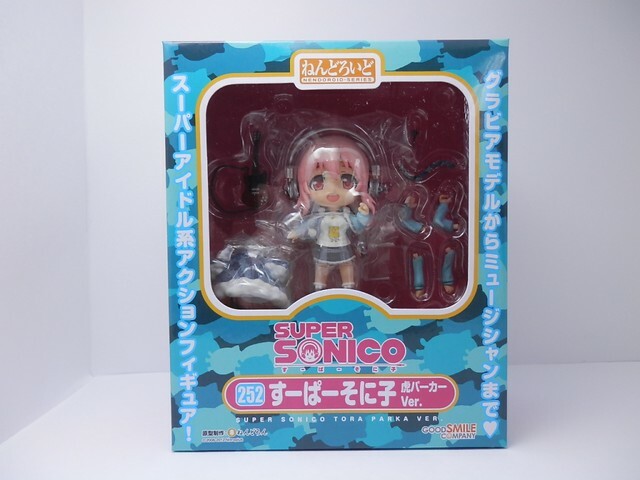 There are two different versions of this Petite set – the one in the pic is the Karuwaza Online Limited version, which features an alternate (GSC themed) ring and pants for each of the characters. Both versions of Nendoroid Petite: New Japan Pro-Wrestling set will be available for pre-order on around mid-December. 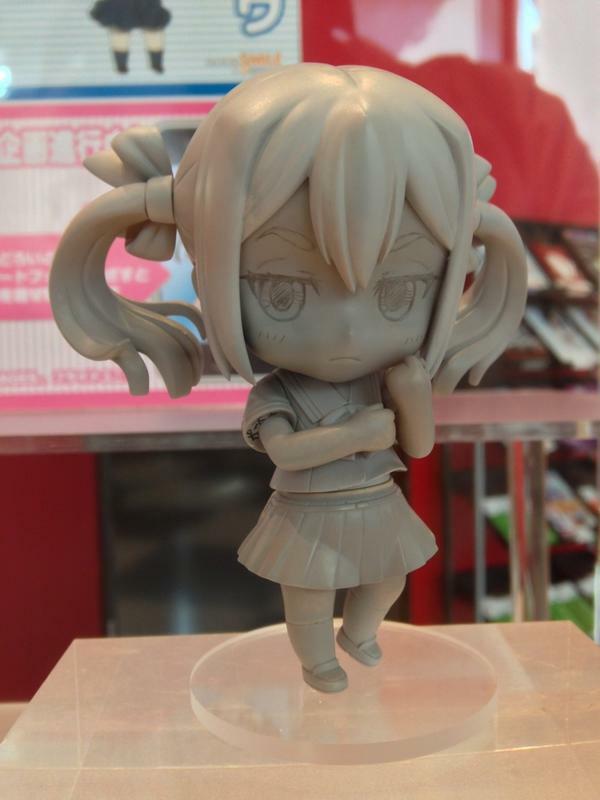 Mikatan showed us the rear view of Nendoroid Koujirou Frau last week, but now we can see her face clearly, albeit without color yet. Personally, I like how her expression looks like staring at me sharply. How about you, Nendonesian? What do you think about this Nendoroid from Robotic;Notes? Anyway, it seems that GSC is going to celebrate this milestone and throw a “party” to reveal what character will be given the honor to be GSC’s 300th Nendoroid. 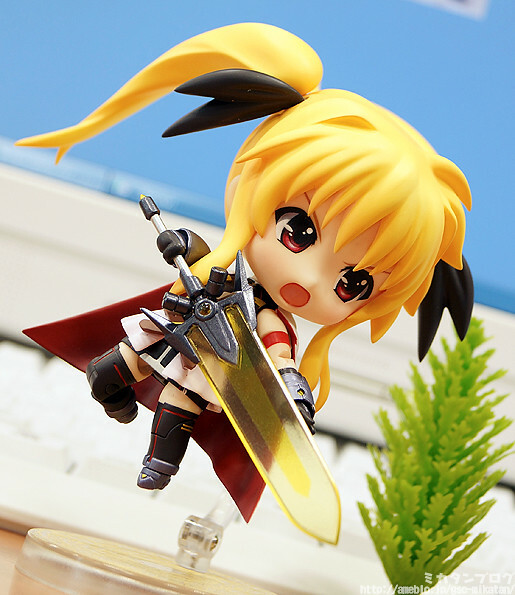 Currently, the most interesting stuff is the Nendoroid Quiz section, which test our knowledge about Nendoroid. The “practice” quiz is already available now, providing you with 5 random questions with 3 answer options. I Google-Translated the quiz page to challenge it earlier. Anyway, what is your guess about who is going to be Nendoroid #300, Nendonesian?